Möglichkeiten von webbasierten Online-Systemen zur Steigerung der Fremdsprachenkompetenz. Dissertation (english) von Thomas Schöftner, Verlag Dr. Kovač 2018, 628 S.
The road to competency-based teaching and learning, and thus the introduction of educational standards, is at the heart of current educational debate. This doctoral dissertation takes up this discussion and shows that the practical implementation in schools is a multi-layered, multi-faceted and complex one. The focus of the theoretical discussion of the current paper is the fields of self-control and self-organization of learning, learning objectives, educational standards and competence orientation. The empirical study analyses, based on the theoretical considerations, the opportunities for developing pupils’ skills in the foreign language (English). This is explored using the web-based adaptive version of the “English Assistant” or “Englisch.Digital”. Five explorations based on three questionnaires and informal competence measurements (IKM) with 75 pupils (grade eight) were carried out at two Austrian secondary schools. The empirical study focused on (the hypothesis testing) exploration of four constructs (self-assessment of general self-efficacy, self-assessment of special self-efficacy in reading, self-assessment of self-regulation and self-assessment and informal competence measurements of specific skills in reading in the foreign language). The study shows a mixed picture with respect to which groups of students benefit the most from the digital media offer of Englisch.Digital. Consistent significant results in the five explorations could not be obtained, which may be due to any of a number of different reasons (e.g. differences in individual effects/reactions, the teaching processes or limitations of the study design). To summarise, it can be stated that the question of the effects of digital media requires further differentiation and no general conclusions can be drawn with respect to the supposition that digital media produce a certain learning effect per se. It should be noted that it will not suffice to merely add new technologies to the traditional teaching and learning methods, changes to teaching structures will also have to be made (cf. Dittler, 2003, p. 193 and Lembke & Leipner, 2015, p. 181). 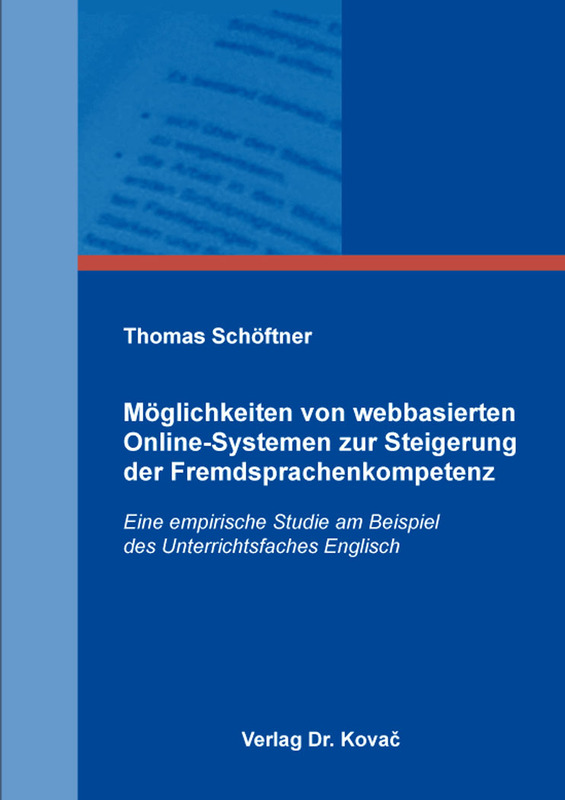 The English Assistant (Englisch.Digital) analysed in this dissertation offers one possible solution for this and also the problem of the transposition or implementation of information literacy.